It is reflective. ~ 18in x 24in. Overall as shown. CLOSED TO ALL MOTORIZED VEHICLES. WOOD Sign. Great West Village Location. Overall Good Condition. Lots of bomb shelter lights. Used with scratches there is paint loss. Authentic retired Dead End street sign. 30 x 30 Single sided. 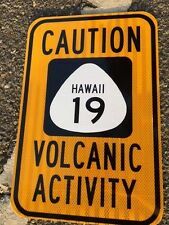 Authentic Retired All Way Street signs (3 signs) 18 x 6. Reflective. Fuller Lane Retired Classic Green and White Reflective Street Sign 30" x 9"
This double sided reflective sign is 30" in length and 9" in height. You can do that by simply adding the minus sign in front of the word you want to exclude. different signs have different sizes and weights, 3. Most of them have actually been on the pole, therefore been USED. THIS WOULD BE A GREAT CONVERSATION PIECE FOR A GARAGE, MAN CAVE OR GIFT. This 18" wide and 24" tall sign is made of thick, heavy aluminum with "engineer grade" reflective sheeting and shows the province's traditional Fleur de Lis. You can do that by simply adding the minus sign in front of the word you want to exclude. Rt 666 Hwy 666. This sign is 24" x 18" and is a nice size to display. This is a real DOT sign, it is made with current MUTCD materials. This sign has 3M High Intensity Prismatic Sheeting which is currently the minimum reflective for highway use. 16" from top to bottom, and 12" on flat sides. A fun addition to any room, cave, or driveway. 16" from top to bottom, and 12" on flat sides. TEAMON RD SIGN. THIS IS A RETIRED SIGN AND WILLNOT BE MINT CONDITION. Another recently retired, AUTHENTIC sign from the sign man. It largely follows the old Oregon Trail. This 24" square sign is made of aluminum with "high intensity" reflective sheeting. different signs have different sizes and weights, 3. This 24" x 30" sign is made with "high intensity" reflective sheeting on aluminum. different signs have different sizes and weights, 3. You can do that by simply adding the minus sign in front of the word you want to exclude. Another recently retired, AUTHENTIC sign from the sign man. US-30 still runs for just over 3000 miles all across the country from Atlantic City, New Jersey, to Astoria, Oregon. Most of it known as the Lincoln Highway. MALLORY RD SIGN. THIS IS A RETIRED SIGN AND WILLNOT BE MINT CONDITION. NEW DEER CROSSING SIGN. 16" from top to bottom, and 12" on flat sides. '65 IMPALA SUPER SPORT - HOT ROD MUSCLE CAR ART. Unique graphic depicts a 1965 Hot Rod Impala - Spinning out and leaving behind a Super Sport logo. What a n exciting gift for any driveway, garage, or mancave! Different signs have different sizes and weights, 3. You can do that by simply adding the minus sign in front of the word you want to exclude. This 24" tall and 18" wide aluminum sign is made with "engineer grade" fully screened reflective sheeting and shows Canada's traditional maple leaf. Look at the pictures. Good luck! You will receive the exact sign shown in the photos. I take a photo or two with the flash on to show reflectiveness. I DESIGN AND MAKE MY OWN SIGNS.